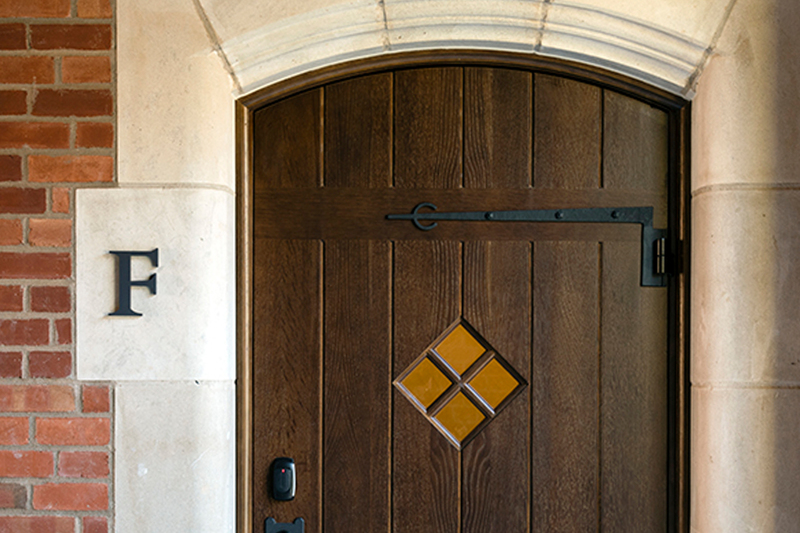 How do you refresh the identity of a centuries-old institution while honoring its history and heritage? 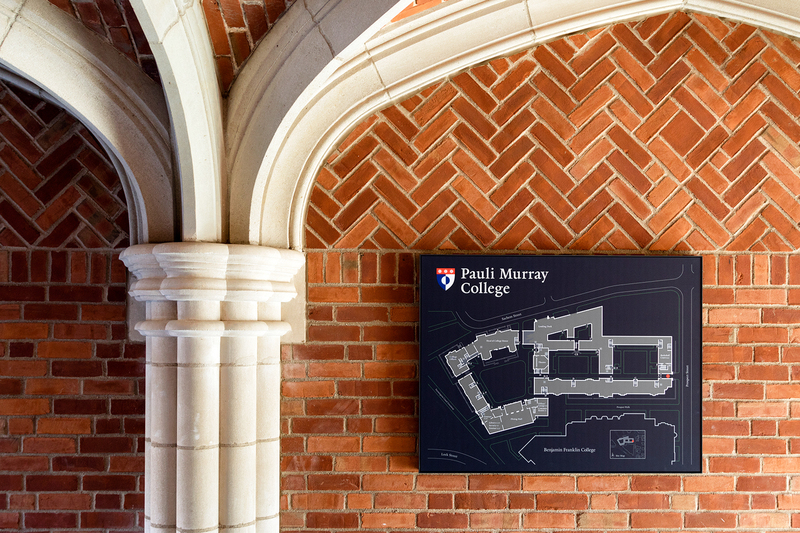 For two new residential colleges at Yale University, we understood that the answer was to complement rather than confront, crafting graphic solutions that were bold and new, yet also respected the context. 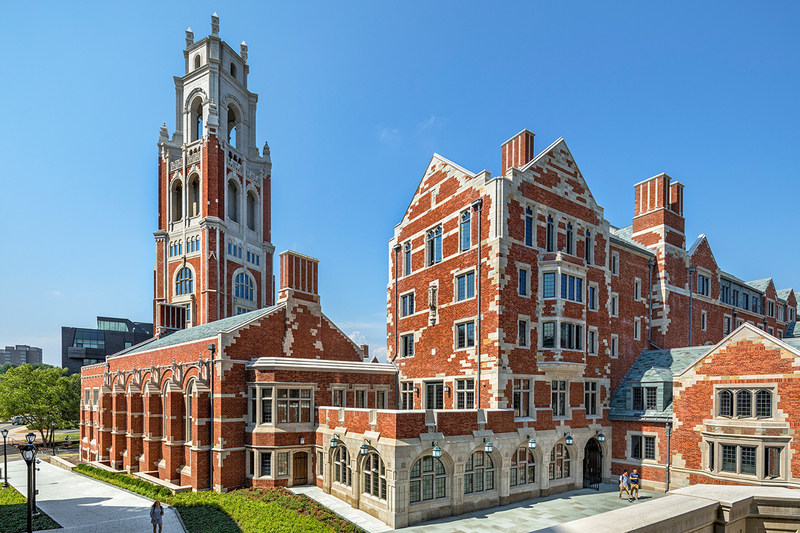 The colleges, by Robert A.M. Stern Architects—with more than 800 beds, plus facilities ranging from dining rooms to recreation areas—combine classic elegance with contemporary vigor. 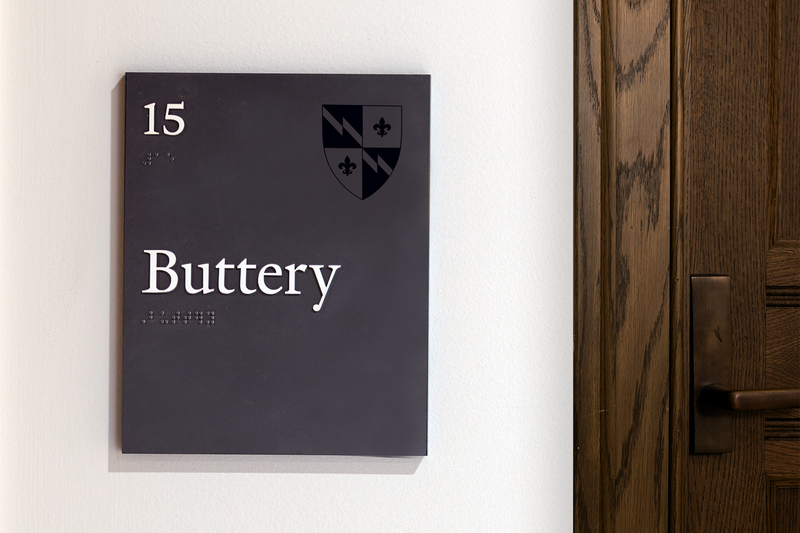 To create appropriate signage, we used the established Yale typeface, forging a visual connection to the wider campus. Yet we also introduced a new charcoal grey color scheme that set a fresh tone—and sets the colleges apart. 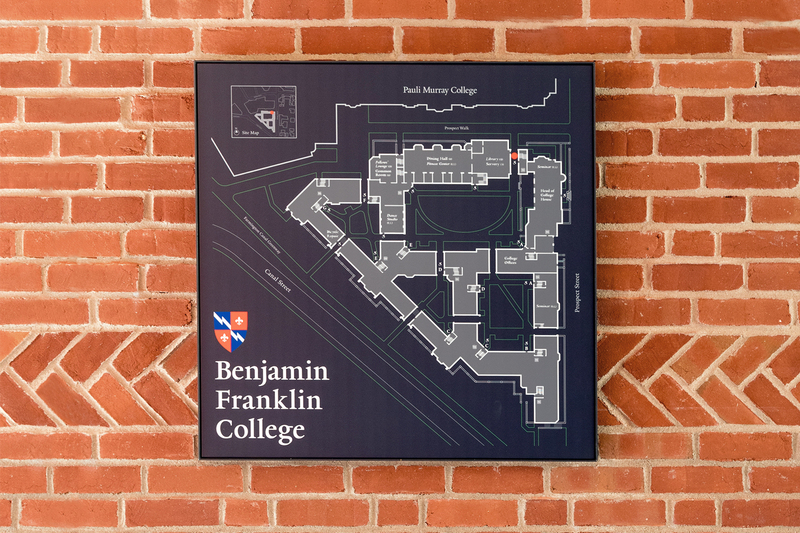 Other elements include wayfinding “you are here” maps and bold, three-dimensional ID letters marking each building entry, and a name plaque at each room. 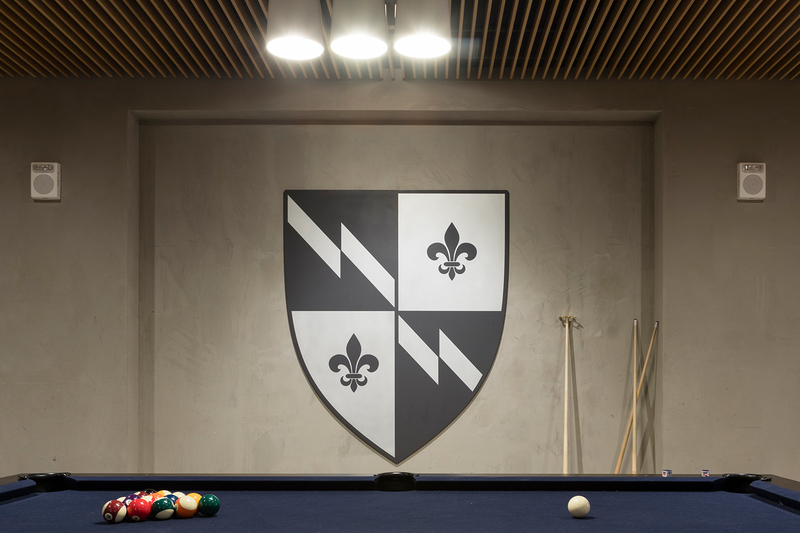 Both include the colleges’ crests—rendered in full color on the outside to highlight each college’s identity, but muted on the interior to ensure that the sign’s functional message took center stage.